Hear KUAR's Michael Hibblen talking with sports writer Harry King about the Arkansas Razorbacks. 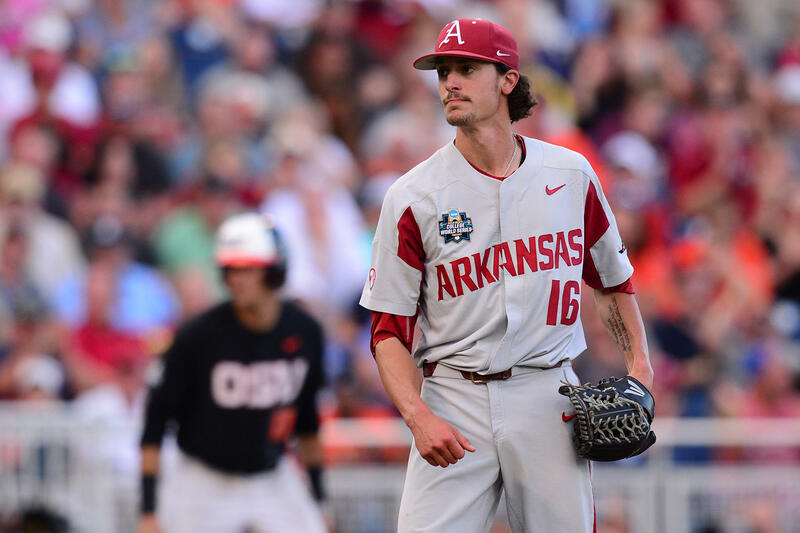 Arkansas Razorbacks pitcher Blaine Knight during Tuesday night's game in which Arkansas beat Oregon State 4-1. The Arkansas Razorbacks baseball team could win its first national championship Wednesday night. Arkansas faces Oregon State beginning at 6 p.m. after winning the first game Tuesday 4-1. If Arkansas loses Wednesday night, a decisive game three will be held Thursday. KUAR spoke with veteran Arkansas sports writer Harry King about what has put the Razorbacks in such a strong position this year. You can hear the interview above. 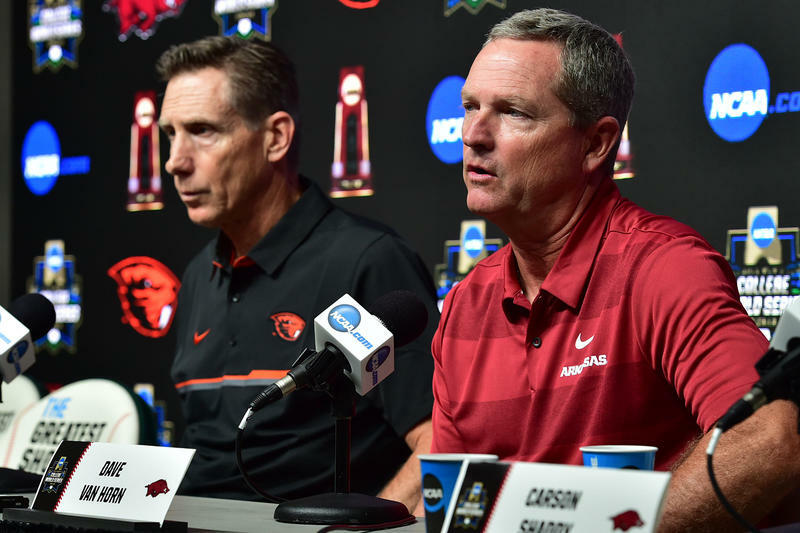 The University of Arkansas Razorbacks (47-19) meet the Oregon State Beavers (53-11) Monday night in the finals of the College World Series. The game, broadcast on ESPN and the Razorbacks Sports Network, begins at 6 p.m. barring weather delays.